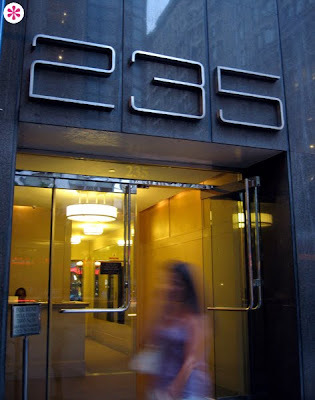 Pr*tty Sh*tty: 235 Park Ave. South and 160 Third Ave.
235 Park Ave. South and 160 Third Ave.
Not only are these numerals sweet as can be, but the fact that each one fits squarely on its own panel of the stone fascia demonstrates some real thought at work. Man, these are great. If you’ve ever wondered where asian stereotypes from the cartoons and movies of the early 20th Century retired to, now you know. I like to imagine Mr. Wong is the doorman here. Ask nicely and he’ll sell you a mogwai, and a monkey paw to wish on. The '235' is the definition of class. I could stand there and look at it for an hour.